Mr. Md. Abdul Karim, a former Principal Secretary to the Government of Bangladesh, is the Managing Director of PKSF. He is also an ex-officio member of its General Body and Governing Body. Earlier, Mr. Karim worked in the administrative service as Assistant Commissioner, Magistrate and Chief Executive Officer of a number of local bodies. He served as the Economic and Commercial Minister/Counsellor of Bangladesh Embassy in Brussels, Belgium. He served the Government as a Secretary in the Ministries of Commerce, Fisheries and Livestock, Home Affairs, Communications (Bridges Division) and Finance (Internal Resources Division) before his appointment as Principal Secretary. He was the Chairman of the National Board of Revenue (NBR) and a number of state-owned companies including the lone refinery of the country, the Eastern Refinery Limited. He was the ex-officio Chairperson of a number of national-level committees of various Ministries while serving as Principal Secretary. Having completed his M.Sc. in Chemistry from the University of Chittagong, Mr. Karim obtained Master of Social Science degree in Development Administration from the University of Birmingham, UK. He participated in many professional training programs at home and abroad and attended many international summits, conferences, meetings and seminars including the United Nations General Assembly, LDC Summits, D-8 Summits, the UN Conference of Parties (COP) on Climate Change etc. Mr. Karim is the Secretary General of the South East Asian Cooperation (SEACO) Foundation, Bangladesh which is working at the civil society level for trade and investment promotion among five countries of the South and South East Asian region. He is a Board Member of the Institute for Inclusive Finance and Development (InM), Microcredit Regulatory Authority (MRA), Social Development Foundation (SDF), Small Farmers Development Foundation (SFDF) etc. A Paul Harris Fellow (PHF) Rotarian, Mr. Karim is the Past President (PP) of the Rotary Club of Dhaka Buriganga. He is the President of Bangladesh Deaf Sports Federation and past President of Bangladesh Scouts (Boy Scouts and Girl Guides). Mr. Karim has received the highest Scout Award of the country. He is now the Advisor of Bangladesh Scouts and President of Bangladesh Scouts Foundation. Mr. Karim is the President of Allama Rumy Society, Bangladesh and is involved with some other socio-economic organizations. Currently, Mr. Karim is the Chairman of Green Delta Insurance Company and an Independent Director of Union Capital Ltd. 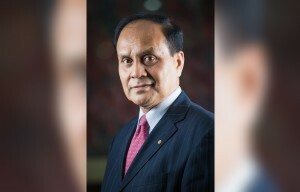 He is the President of Bangladesh Chemical Society (BCS) and member of the Board of Advisors of the Asian University for Women in Chittagong, Bangladesh. Mr. Karim is a member of the Honorary Advisory Board of Country Programme Document (CPD) of the UNDP Bangladesh for the 2017-2021 cycle. He is the Advisory Board Member of the Center for Education and Community Development (CECD) under Vietnam Association for Education Psychology Science. He is also the Strategic Advisor to Shanghai Changing Oriental Hongqiao Microloan Company of China. He is a Jury Board Member of Citi-NA Export Excellence Award, HSBC Export Excellence Award, Institute of Chartered Secretaries of Bangladesh Excellence Award etc. As a guest speaker, Mr. Karim has lectured at various universities and training institutes including North South University, Public Administration Training Center, National Defense College of Bangladesh, National Academy for Planning, Bangladesh Civil Service Administration Academy etc. He has authored books and articles on local government and other subjects. Mr. Karim has travelled to more than fifty countries of the world. He is a member of various elite social clubs of the country. He is married and has three children. Mr. Karim is leading PKSF towards implementation of holistic, people-centered integrated programmes and projects for poverty alleviation, inclusive financing and sustainable development of Bangladesh.